AZURE HAVEN: SHELL COVE is private single story accommodation for two people in a central location. The house is located in a quiet suburban area just one kilometre from the Links Golf club, three kilometres from the well-known surfing beaches The Farm and Mystics and just 3.6 kms from quaint Shellharbour Village. AZURE HAVEN: SHELL COVE. You'll have your own entry to a private separate space including a large master bedroom with comfortable seating, television and ensuite. There is also a breakfast making facility with a full fridge, microwave and a separate alfresco eating area inside the house and on the covered front terrace. The front part of the house is your private haven with your own entrance, off street parking outside and your own covered front terrace. There is free WiFi . 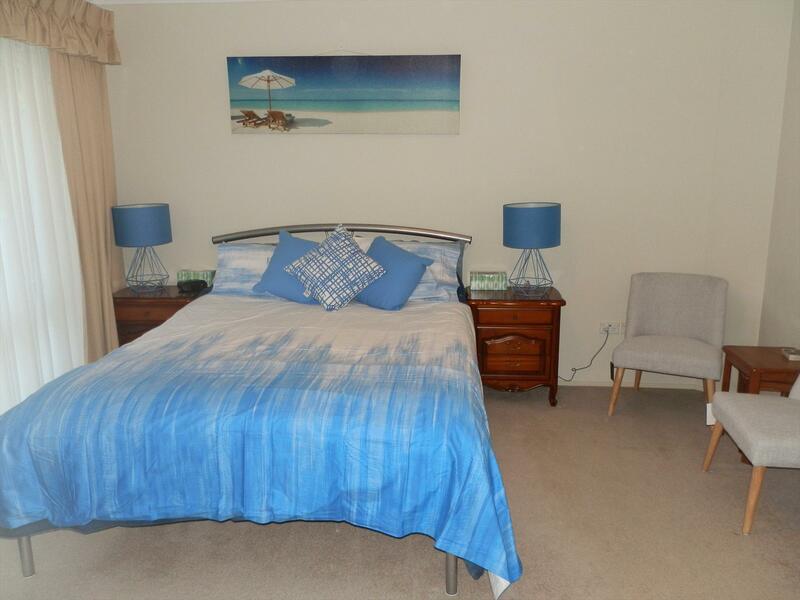 The house is located in a quiet suburban area just one kilometre from the Links Golf club, three kilometres from the well known surfing beaches The Farm and Mystics and jsut 3.6 kms from the quaint Shellharbour Village with its free olympic saltwater pool and two patrolled beaches. No smoking is not permitted anywhere on the property. 1 bedroom unit with queen bed with ensuite with shower. Comfortable lounge chairs and television. Your own private entrance, tea/coffee making facilities, breakfast making facility with a full fridge, microwave, alfresco eating area. Off street parking close to the entrance. Free WiFI. Non-smoking. If cancelled within 5 days of the due date of arrival no refund will be provided. No refunds for no shows or early checkouts. Full refund for bookings cancelled more than 6 days prior to arrival date.